Bulk SMS sent to customers to pass on information necessary for using product or service to keep customers informed. Such SMS can be sent to both DND & Non-DND Numbers along with a 6 digit bulksms sender ID. 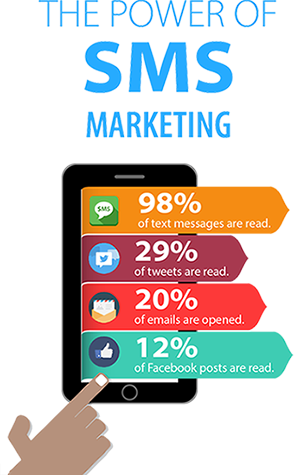 Promotional Bulksms are being used for the promotion services or products. Such Promotional SMS contains sales & marketing activity. Such messages can be used to promote products & services among potential prospects clients. Missed Call Services are best and reliable way of providing engaging and interactive communications to customers and prospects. This can use this for Lead generations, Opinion polls, Customer feedbacks, Information pulling and many more. Voice calls helps to enhance business. Voice can be used for a wide range of applications like Political Campaigns, Customer Surveys, Mobile Marketing , Meeting alerts, Wake up calls, EMI Alerts, Medicine reminders etc..
We have dedicated team who work for SEO. We are able to deliver Perfect results within short span of time with affordable price. SMS Roots is looking for partners throughout the India and invites you to be part of the growing Bulk SMS Industry. SMS Root has the technical expertise, years of experience and service quality to offer an exciting business opportunity. Sell bulk SMS's through a choice of powerful Reseller packages. You can own your own bulk SMS Company and take an advantage of a dynamic and growing Bulksms industry. Bulk SMS with your own brand name. Start selling Bulksms packages with high returns with very less investment. Step2: Click 'Register New' & Fill the form to get your Login details on your mobile. Promotional Bulksms delivers between 9am To 9pm & will not deliver to DND customers. SMS API will not be available on Promotional SMS. Transactional bulksms can be sent 24 x 7 & can be sent to DND Customers also. Online BULK SMS campaigns is a huge time saver and comes with great add-ons features that are sure to fetch you a high response rate using Promotional SMS or Transactional SMS. © Copyrights SMS Roots 2012 - 2017. All rights reserved.